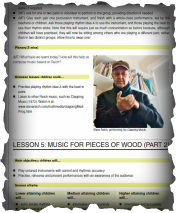 Andy has had numerous articles, resources and reviews published in leading music education titles, including Rhinegold's Classroom Music and Music Teacher, and Faber Music's Sing Up magazine. Andy was invited to be part of Sing Up's Healthy Schools project. 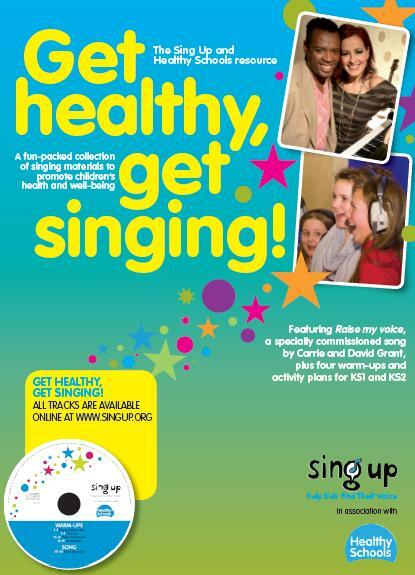 Carrie & David Grant were commissioned to write a song and related warm-ups, for which Andy created the activity notes, as well as a set of cross-curricular lesson ideas based on song's 'healthy lifestyles' themes. Download the magazine from this project by clicking the links beneath the image. 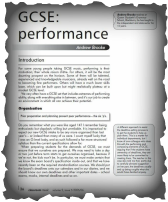 If you would like Andy to write on any aspect of music education, please get in touch. Everyone has an opinion, and Andy feels that everyone has the right to his! He is sometimes asked to give his views - whether reviewing a book, sheet music, software or website, or debating a musical issue or initiative, he will give a fair, frank, well-informed opinion. Review of Patrick Gazard's "You Can Teach Primary Music"
A KS2 English plan on stories which raise issues. 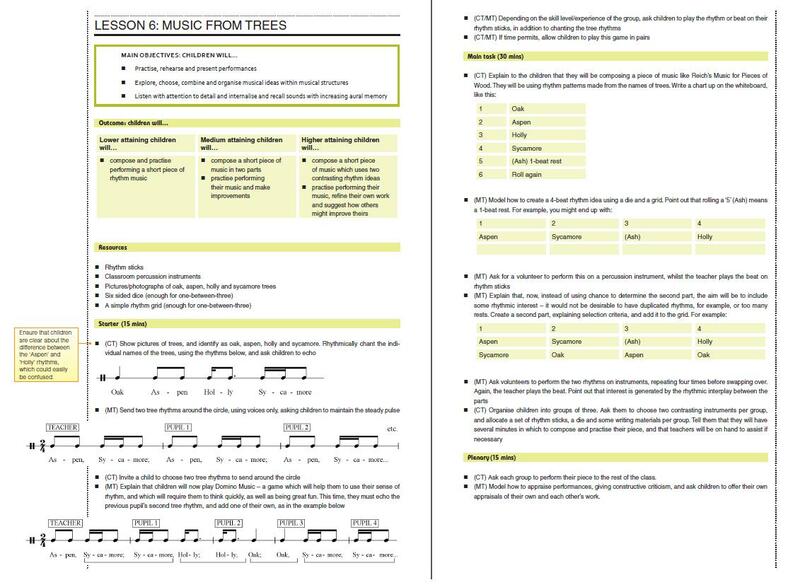 He has also written a number of units of work for Rhinegold's Music Teacher and Classroom Music magazines, including several for KS2/3 transition. 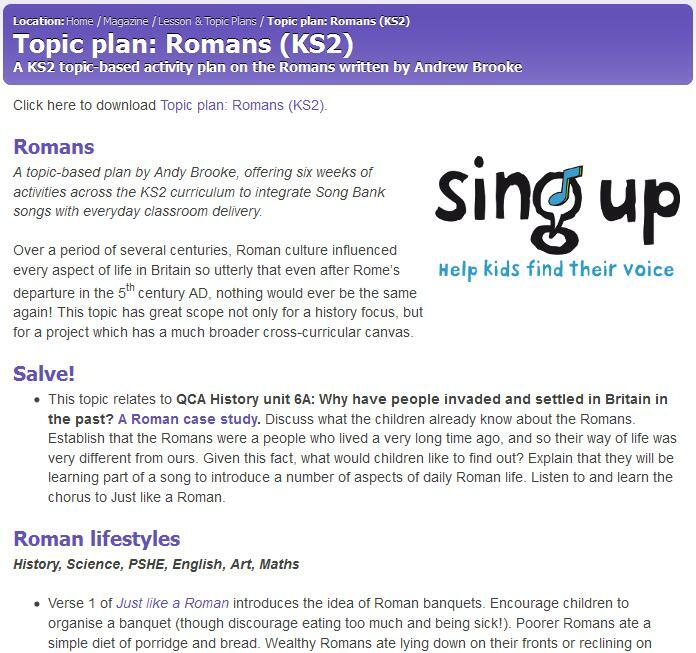 As well as writing for Sing Up's website, Andy is a regular contributor to the Sing Up magazine, writing activity notes for the featured songs, as well as 6-week activity plans which use songs as a springboard for creative and engaging activities across the whole curriculum. 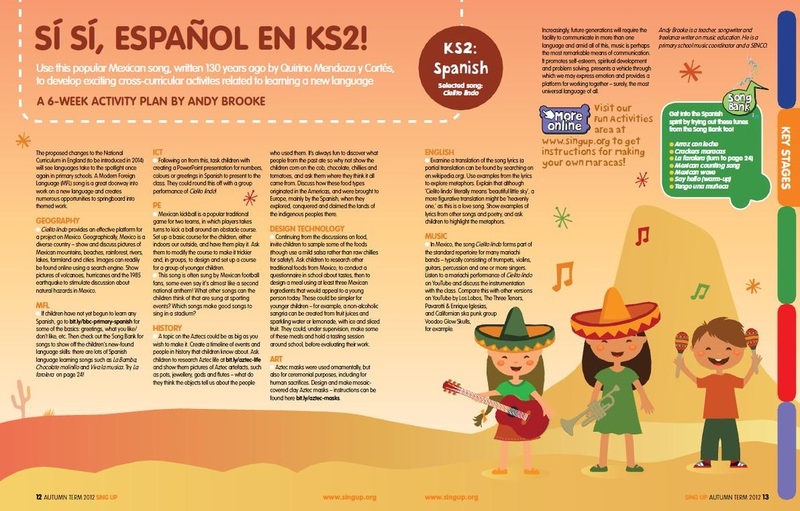 Six-week cross-curricular plan, based on a song in Spanish.